​Studies revealed 95% weight loss pills don’t even help you lose fat. Fortunately, there are some (but few) weight loss pills that really do work. With solid scientific research foundation, comprehensive information, accurate insight to the core of weight regulation, we formulated this unique blend of supplements that can work through multiple mechanisms of the essential weight and fat regulation in natural way. Take 1 capsule 1 to 2 times daily preferably with meals or as directed by a healthcare professional. 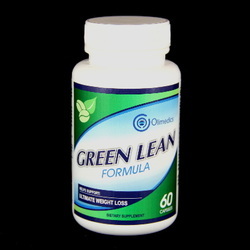 Take OLIMEDICS Green Lean Formula at about the same time each day. Green Coffee Bean (50% extract), Green Tea (50% extract), Apple Cider Vinegar (herb powder), Grapefruit (herb powder), Kelp, Caffeine Anhydrous, Acai (herb powder), African Mango (4:1 concentrate), and Resveratrol.